You must have a passport that is valid for minimum 6 months from the date of entry into India. Many countries are included in the list of countries that provide citizens with E-Visa facility if they apply 72 hours in advance. Other nationals from the country not listed will have to get Indian visa in advance to enter India. If I do not want the tour as mentioned in the website how do I make my own tour? You can get in touch with our experts and share the details such as, the places to visit, tour duration, hotels preferred and number of people traveling. After you have shared all these details, we will plan the tour for you and send the suggested itinerary. I am visiting India for the first time how should I prepare myself? For this kind of information, you can contact our travel experts. At the same time, you can also do some research before visiting India to make your trip really enjoyable. We can also provide you a tourist guide to explain things in your own language. Our guide will travel with you during the tour and take care of everything in the best possible manner. 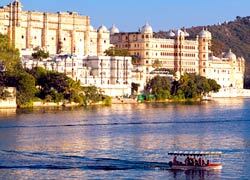 How to experience India at its best? We will suggest that you explore rural India during your tour. 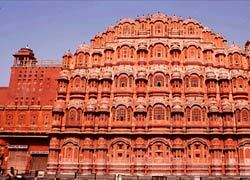 We can also arrange a tour for you during an Indian festival, so that you can have a wonderful time. At the same time, our guides will give all round information about different cultural activities that take during the festivals. Can I buy an Air Ticket through you also? Yes, we can book your air tickets, but we advise you to book the international air tickets in your country as it will be expensive if booked in India. We can book your domestic air tickets to ensure hassle-free travel experience in India. How will I be picked up from the Airport? Our representative will pick you from the terminal of the airport. Please do not leave the airport without our representative. He will be holding a placard with your name mentioned on it. We will also send you the mobile number of the representative beforehand to contact him if you are unable to locate him. Can I book the hotels only with you and not the complete tour? 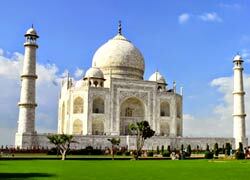 Yes, Golden Triangle Holiday can offer special rates for the hotels in India. We will make sure you get the ideal hotel based on your budget and selected destination. You are going to stay in the finest hotels of India. For further information please send us an email at [email protected]. How do I get medication in India in case of necessity? We advise you to bring your own medicines for your tour in India. Most of the medications are available in India, but they might not be under the same brand as in your country. In case of emergency, private hospitals with qualified doctors and best equipments are available in India. Do people understand English and other foreign languages? Yes, people in India speak English very well. We also have qualified guides in India who also speak Russian, Japanese, Spanish, French, or German. They will give you valuable tips during your trip to India. What is advisable to eat and drink in India? We advise you to drink bottled drinks and bottled water. Tea and Coffee should be taken hot. Try to avoid eating spicy food at least at the beginning of your trip to India. We suggest eat only cooked foods and to eat fresh fruits. After taking the above precautions you will realize that India has mouth watering cuisine.